"I teach at Brize Norton Primary School in Oxfordshire, England and had the privilege of incorporating Alyssa's book , The Purple Marble, in our Personal, Social and Health Education (PSHE) lessons. Our topic this Autumn term is Say No to Bullying. Reading Alyssa's beautiful heartfelt story to the class was a fantastic beginning to our anti-bullying lessons. It was a perfect introduction to such an important topic to teach all children that bullying should never be tolerated and to always make our friends feel safe. I've known Alyssa for many years and am beyond proud of her courage to share this story. The children loved the colorful pictures and The Purple Marble prompted my students on how we should treat others in and out of school. It is a must read to all children and I"m convinced will make a difference for young generations and old. Well Done Alyssa! Always trying to create a positive impact on others is how we all should lead our lives. "As an educator and author of the International bestseller, The Bully, The Bullied, and The Not-So-Innocent Bystander, I, Barbara Coloroso, strongly support Strength behind Stars as a program that helps young people take the vital role of the brave-hearted Ambassadors of Kindness who are willing to stand up for their targeted peers, speak out against all forms of bullying, and step in to help make their school a safer and kinder place where all students feel welcomed and connected. Tiffany, Heather, and all of the Ambassadors are helping break the cycle of violence and creating more deeply caring school communities. Our young people need your support--they have mine." My name is Karen Schiltz and I was asked by Tiffany Antoci to speak out about this topic. I recently wrote a book, Beyond the label: A guide to unlocking a child’s educational potential. This book is about helping children thrive and especially assisting parents and educators in helping their child/student overcome challenges in life. One of the chapters is about the bully, victim, and bystander. These roles have enormous implications to one’s body physically and overall learning and emotional health as well. We now know that such frequent stress can negatively impact a child’s development, with far reaching problems occurring even during the adult years. Bullying does not only take place at school. From preschool to the workplace and even to the nursing home, repetitive intimidation is a social phenomenon. What was once thought of as no big deal is now known as a health hazard! This movement is aimed at starting the conversation with children, families, and educators about what brain science says concerning the effects of intimidation in schools. By teaching students how to better handle their strong emotions, they will be more equipped to channel their feelings in a positive way. 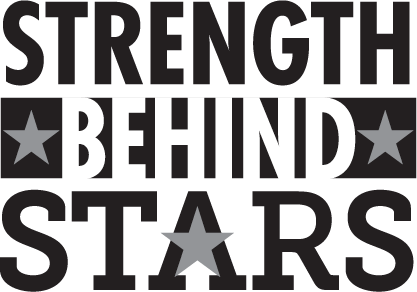 I hope that you join me and Strength Behind Stars in supporting safe communities and helping our children thrive without fear. Karen L. Schiltz, Ph.D.Psychologist (CA PSY 9508)re. "The Purple Marble is my new favorite children's book! Centered on the theme of bullying, it's been the perfect lead in to classroom discussion & activities that help children deal with bullying. The way author Alyssa Antoci draws from the experiences & unique perspectives of each character is truly intriguing while relatable to all young people. As an elementary school teacher for 22 years, I believe The Purple Marble is a must have in every classroom." It was a pleasure to have Alyssa join our school for our Read Across America Celebration. Alyssa shared her inspiration to write her book The Purple Marble. Many students found themselves relating to the story, as the book lends itself to discussions on bullying and kindness. Students shared their own stories of being bullied and expressed the importance of being treated with kindness. We have utilized The Purple Marble and the questions following the story to be a useful tool for students to read and reflect, as students think about their actions towards others. We thank Alyssa for sharing her heartfelt story, we encourage students daily to demonstrate random acts of kindness and put a stop to bullying.